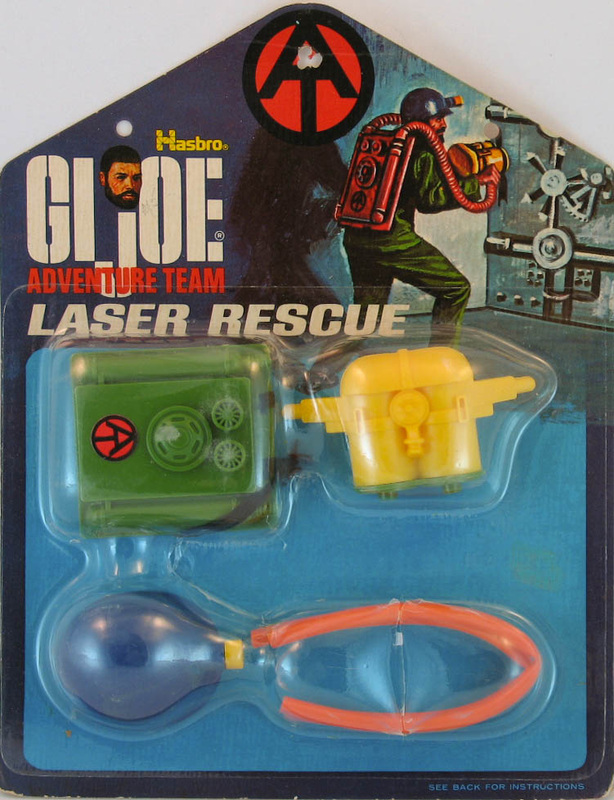 Available at a lower price point, kids could get a dozen different pieces of equipment to help the Adventure Team with their missions. These sets were first released in 1973 and 74 on blue cards. A number of them were available on orange cards in 1975 and 76. The later releases usually replace the elastic straps of the originals with a rubbery vinyl that can leave melt marks in the hard styrene plastic of the accessories themselves, so be careful when storing them.